Put a playful finishing touch on your outgoing mail when you choose this label design featuring a pattern of delightful petals. Now every letter and package you send will show a little bit of personality - something you have plenty of! Four different color combinations let you pick the perfect label for each envelope. But the best part about this product is the self-adhesive backing. You'll be eliminating the chore of scribbling out your return address on all that mail, and all you have to do is peel and place to finish the job! Get your own Simple Petal Address Labels from CheckAdvantage now! 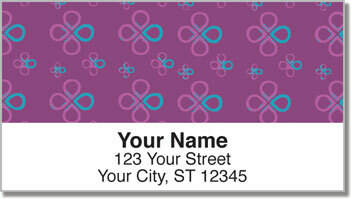 All our labels also have a matching personal check design.